Document shredders are standard equipment in most offices. They prevent sensitive information from being just lifted out of the trash. With identity theft on the rise shredders are also becoming more common in homes and home offices. For the most part, shredders do what they are suppose to do…chew stuff up into strips or little bitsy pieces. The problem with them is not their function, but their form. The typical document shredder for the home looks like an offspring of a leaf shredder and a trash can. One company, One Tenth Design, aims to change all of that with their Bridge Compact Shredder. The machine could not be easier to operate. There are only two buttons (forward, reverse) so it is pretty self-explanatory. Push a button and it turns on. Push it again and it turns off. While it is powered by only 4 AA batteries it has enough torque to chew through four folded 8.5×11 sheets of paper at a time (they need to be folded as the slot is only about 4.5″ wide). 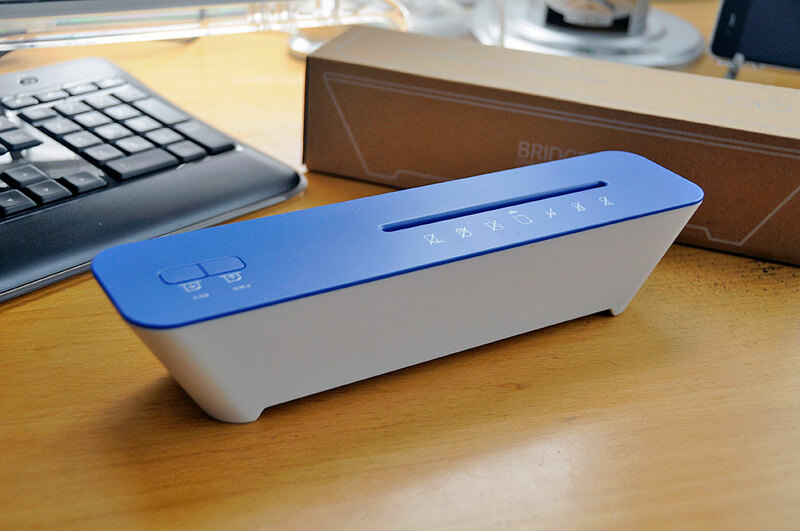 The best part about the Bridge Compact Shredder is the sloping design of its housing. That seemingly small feature is actually pure genius. It lets the shredder fit on top of a lot of different sizes of trash cans. It will even work just sitting on top of the desk. NOTE: Apparently they are selling the Bridge Shredder as fast as they can make them. The only site we’ve found with the Bridge is the one in the article. Yes, we know it is all in Japanese 🙂 We’ll try to have more info on USA availability when we post the InTheWild update in the Fall. If you REALLY want one now, ping One Tenth Design and let them know.